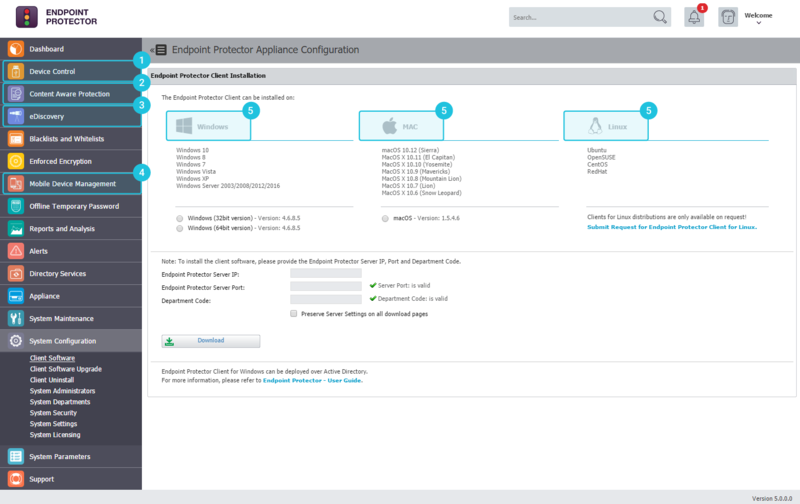 Control and set rights for removable devices and ports in the Endpoint Management section and establish policies for users, computers and groups. Stop data leakage through the most common applications such as emails, browsers, and other online applications through the Content Aware Protection tab. Create policies to inspect data residing on protected Windows, macOS and Linux computers. Discover sensitive data at rest and encrypt or delete it. Within the same management console, set up security policies for corporate or employee-owned mobile devices. 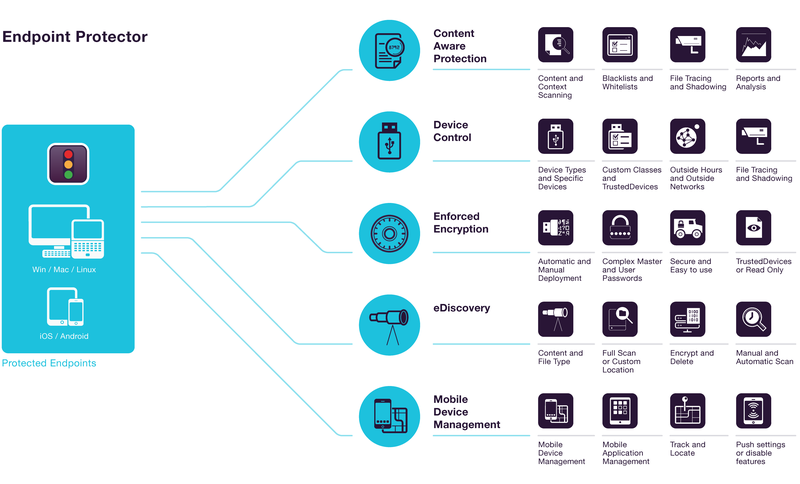 Endpoint Protector takes cross-platform DLP to the next level. Protect data against loss and theft on all company's endpoints. Our flagship product is an on-premise DLP solution, delivered as a Hardware or Virtual Appliance. It provides all the features needed to secure sensitive data from threats posed by portable storage device, cloud services and mobile devices. Suitable for any type of network, our Data Loss Prevention solutions offer a 100% deployment flexibility. Get a quick overview on the products, functionality, features and supported operating systems.